The Republican governor's success in business informs his view that personal responsibility trumps the role of government. This is the last of three articles about the work experiences of Maine’s gubernatorial candidates. When Paul LePage was hired at a Newport-based wood-turning company in 1994, the circumstances were all too common in the state’s flailing wood products industry. For years, Banton Inc. had made wooden bottle caps and vacuum cleaner parts, but the company was nearly dismantled during a bankruptcy that year, the victim of overseas competition and poor management. Its new owner, Vic Firth, a Boston musician turned drumstick manufacturer, bought the company in a bankruptcy sale, but his manager wasn’t doing a much better job of turning the company around. “They finally said, ‘You’re losing a ton of money, things are not going well, and we gotta find someone to get this thing straightened out,’ ” said David Crocker, then the plant’s chief engineer. LePage and his Waterville turnaround firm, LePage & Kasevich, were hired to rescue the operation. Within a year, the company was back on an upward trajectory. LePage, who is now Maine’s Republican governor, cut costs in half and increased revenue by 35 percent to $8 million, turning a $750,000 profit, according to his resume. In an interview Friday with the Maine Sunday Telegram, LePage said that throughout his career he has sought to push the people around him to do what they think cannot be done. From his first job at a New Brunswick lumber mill, to leading his own consulting firm and then as general manager of Marden’s Surplus & Salvage, LePage has fashioned a career that’s focused on attacking problems and chasing results. Although he did not save every company and preserve every job, his experiences solidified his convictions about personal responsibility and the role of government. Underpinning his approach is the belief that for decades, when Maine bureaucrats weren’t actively thwarting the prosperity of its citizens, they could not at the very least get out of their own way. More than a rallying cry, this conclusion has framed his decisions and initiatives in his first term in the Blaine House, rankling opponents who disagree with his political philosophy. When he graduated from Husson College in 1971, LePage’s first career job took him and his first wife, Sharon Crabbe, away from her rural New Brunswick home to Boston. LePage was hired into the finance department of Chrysler Corp. and placed in a management trainee program. It was a jarring transition for Crabbe, who was uncomfortable with the urban environment, LePage said. The situation did not last long. Together they decided that LePage would move to Canada, where Crabbe helped secure him a job with the family’s large lumber company. LePage brought with him a helpful skill: The son of Quebecois parents, he spoke fluent French, making him an ideal candidate to manage the rough-and-tumble wood-cutters, who also were largely French-speakers. Working in the vast woods of New Brunswick, LePage helped run timber harvesting operations and worked in accounting and payroll. It was a helpful place to start his career, with Crabbe’s father acting as an early mentor who taught him about the business. Within three years, LePage said, he was promoted to general manager of the sawmill. But his drive to advance his career led him back to Maine around 1975, when he was admitted to the University of Maine to earn a master’s of business administration. Crabbe, reluctant to return to the United States, stayed in Canada. To keep up the arrangement, LePage kept a manic schedule. He said that three days a week he attended classes in Orono, then traveled to Canada to work at the mill for three days. He received his degree in about 12 months, he said. For a brief stint after earning his MBA, LePage said he attempted to move back to the United States. He bought a house in his hometown of Lewiston and got a job as director of finance for the Maine State Housing Authority. Crabbe, who was still homesick, returned to New Brunswick after about four months. Soon LePage followed her, working for her family’s company, Arthurette Lumber, until about 1979, when marital trouble led to a divorce a year later. The stint in the public sector was LePage’s first look at what he viewed as government dysfunction. Although he speaks with pride at selling the state’s first housing bond (“I remember leaving New York at 5 o’clock with a $55 million check,” he said. ), LePage says he developed a distaste for patronage, the democratic tradition of appointing political allies and supporters to government managerial posts, with little regard for their skills or qualifications. LePage’s next serious position, as a regional controller at Scott Paper in Winslow, would prove to be instrumental in his life’s trajectory, and ultimately keep him in Maine. Hired in 1979, LePage was chosen for promotion by Scott executives. It was also where he met his current wife, Ann, who worked at the company for 14 years. A move up the Scott ladder entailed moving from Maine to Philadelphia. LePage accepted the offer, and the couple flew to the City of Brotherly Love. LePage met with Scott executives while Ann toured neighborhoods shopping for a home, Rancourt said. On the flight back to Maine, Ann broke down, Rancourt remembers LePage telling him. The couple agreed to raise their kids in Maine, LePage said, but it was the third promotion in eight months that he had refused, and he left the company soon after in 1984, the same year he married Ann. After departing Scott Paper, LePage was hired as chief financial officer and treasurer at Forster Manufacturing in Wilton, which at the time was the world’s largest producer of wooden toothpicks. The company’s products were sold in thousands of stores and were extraordinarily profitable, said Spencer Thompson, who was head of marketing there. The company redesigned the toothpick, Spencer said, resulting in a dramatic reduction of waste. 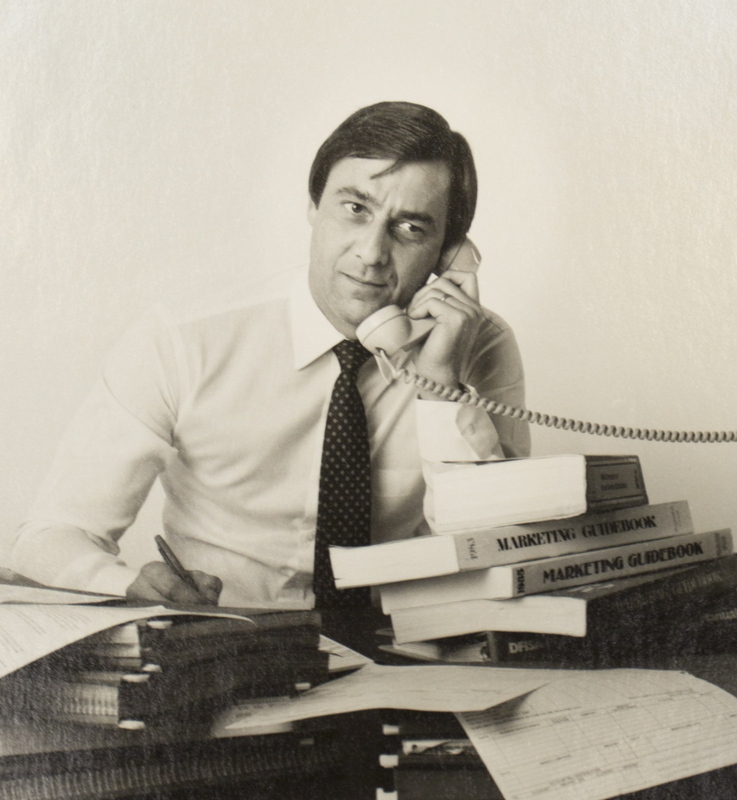 After supporting companies from the inside for years, LePage in 1985 struck out on his own, teaming up with a technology-savvy accountant, Richard Kasevich, to form LePage & Kasevich, a Waterville-based turnaround firm. The two worked with ailing businesses to either make them profitable again or, in some cases, prepare them for sale to other investors. Not every business could be saved. One of his higher-profile clients was Wilner Wood, a wood products company in the Oxford County town of Norway that had run into deep financial trouble. LePage, who was appointed by a bankruptcy court, said he had found a buyer for the company, but the investors wanted to separate off a toxic landfill that was on the property. The buyer was willing to contribute to pay for a state-run cleanup effort, but the deal had to be approved by the state. Attorney General Michael Carpenter rejected the request, according to LePage, telling the businessman that allowing one exception would open the floodgates for other companies to do the same. LePage said it was a shameful decision, and he saw it as another instance of government hobbling business. Carpenter, reached Saturday, said he does not remember any conversation with LePage, but that a staff attorney with the Maine Department of Environmental Protection could have rendered the decision with Carpenter’s sign-off. Another tough client was Down East Peat of Deblois, a company that in 1987 began construction of a 22-megawatt peat-fired power plant, the continent’s first. The project cost $51 million, opened in 1989, but proved difficult to run when wet weather hampered peat harvesting, forcing the company to use comparatively costly wood chips to keep the operation afloat, according to news accounts at the time. The bank that financed the project ultimately recovered 78 percent of its investment. In an interview, LePage said he was hired by the bank to recoup the investment. Facing competition from cheaper energy sources nearby and continued technology problems, the bank successfully sued the plant’s construction contractor for faulty work and sold back a $10 million energy contract, LePage said. The next year the plant was sold to a Maine businessman, putting 60 people out of work. LePage’s final consulting assignment would become his best-known role as a businessman and influence his political career. In 1992, Harold “Mickey” Marden, proprietor of Marden’s Surplus & Salvage, won a seat in the state Senate. According to LePage, Marden wanted LePage to replace him in the State House, but LePage, the sole breadwinner for his wife and two children, could not afford to live on a legislator’s salary. Marden suggested that LePage come work for him instead, freeing him to explore politics. Twice more they met, and in 1996, Marden finally “made me an offer I couldn’t refuse,” LePage said. LePage was hired to plan the succession of the business from Mickey Marden to his three sons, what was billed as a temporary assignment. He ended up staying for more than a decade. Marden threw LePage into the deep end, and after LePage began work, the elder Marden departed to Florida for four months, and was pleased to find LePage hard at work when he returned. Harold A. Marden, Mickey’s son, who is now president and CEO of the company, remembers that LePage worked well with the Marden brothers and was helpful in expanding the business. One move that took the Marden family by surprise was LePage’s insistence that the company acquire the old Scott Paper mill in Winslow. “At first we thought that was crazy as hell,” Marden said. LePage persuaded them to buy the property, which is now Marden’s central warehouse and distribution center. “The square footage and the quality of the buildings allowed us to get to where we are today,” Marden said. LePage counts Mickey Marden, who died in 2002, as one of his greatest influences, a man who taught him that he had to be tough, demanding and honest. Another core lesson from Mickey Marden – one that LePage continues to embody as he seeks re-election – is to finish the work he started.